Yesterday, Once More aka Msel Mehn Mdong Tiet is a musical that spans the birth, death and resurrection of South East Asian rock’n’roll and explores the life story of one of its most beguiling and mysterious characters – Poev Vannary. Yesterday, Once More blasts-off in 1970 and spins out across three distinct points in time in history. It opens shortly after March 1970, when Cambodia’s “God King” Norodom Sihanouk is ousted in a bloodless coup d’etat and Marshall Lon Nol’s CIA installed Khmer Republic opens for business. 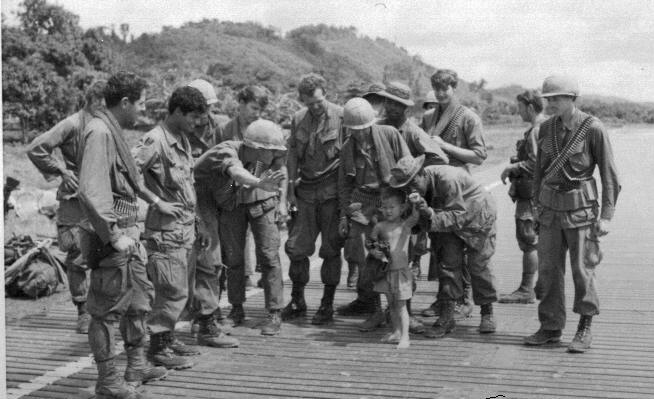 Two months later President Richard Nixon appears on television to announce his decision to use American forces to invade Cambodia. Yesterday, Once More exploration of music by radio stars like Poev Vannary and the little or unknown musicians and entertainers of the Vietnam War era. In a live show that brings to the stage the “lost sounds” of vintage South East Asian rock’n’roll, it is a vibrant musical extravaganza set against the seismic sociopolitical shifts of the late 60’s to the dramatic fall of Phnom Penh and Saigon in 1975, and the rediscovery of Cambodian rock by foreigners in the late 80’s and early 90’s. 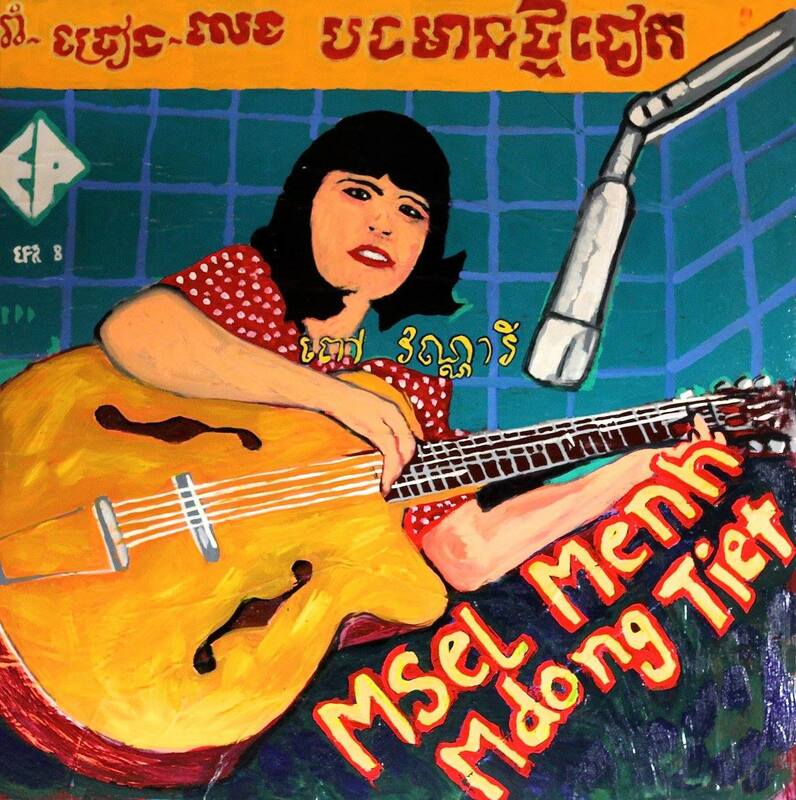 This latest Cambodian Space Project stage spectacular tells the story of Cambodia singing sensation Poev Vannary – starting out in 1970, a young, ‘liberated’, Khmer woman, Vannary, picks up a folk guitar plus a repertoire of American radio hits and sets her sights on the city. Arriving in Phnom Penh shortly after a coup d’état ousts Prince Norodom Sihanouk, Vannary’s rise to superstardom is as rapid and bewildering as the demise of Marshal Lon Nol’s corrupt and dysfunctional CIA installed regime and the ideological clashes and social shifts of the early 70’s. Cambodia is engulfed in brutal civil war and the nation’s capital soon becomes surrounded by communist forces. In April 1975, Phnom Penh falls to the Khmer Rouge and within days the regime forces city’s entire population into brutal labor camps in the countryside. Musicians and artists become targets of the genocidal regime as it sets about destroying culture in a perverse attempt to erase the past and install “Year Zero” – an agrarian Marxist utopia. From 1975-1979 Cambodia descends into darkness and Poev Vannary disappears along with and estimated 1.7 million people presumed murdered in the killing fields. The next decade proves almost as tough as the 70s; one long struggle to survive but out of the darkness hope returns. Music, art and culture survive and, while her whereabouts remain unknown, Poev Vannary’s hauntingly beautiful songs are rediscovered. It’s this music that returns to the airwaves, helping to heal and reconcile the tortured memories and broken lives of individuals and whole communities rebuilding a violently shattered past. Vannary’s life, loves, hopes and dreams are reimagined in this extraordinary musical that is as much a testimony to the power of the human spirit to overcome as it is a heartbreaking portrayal honoring a young singer’s life, and an entire generation, lost in one of the most devastating chapters in human history. An essential story. Political intrigue, Cold War chaos, seismic cultural shifts, illicit love, war, disaster and psychedelic Cambodian rock’n’roll. 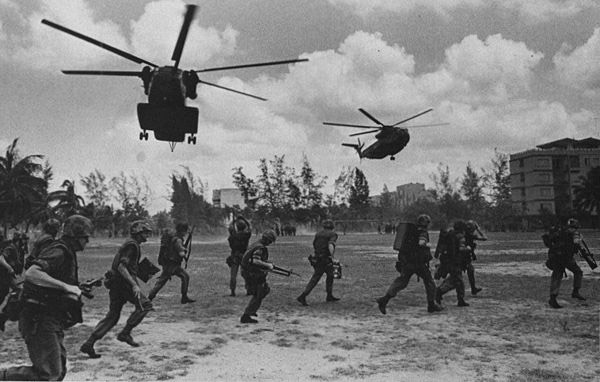 1970 – Prince Norodom Sihanouk is ousted in a coup d’etat and plots to regain the throne. 1970-75: Marhsall Lon Nol heads the CIA backed Khmer Republic installing himself as its President. The frictions between Cold War protagonists lead to full-scale war playing out in proxy as Cambodia becomes a pawn on the chess board and Phnom Penh falls to the genocidal Khmer Rouge. 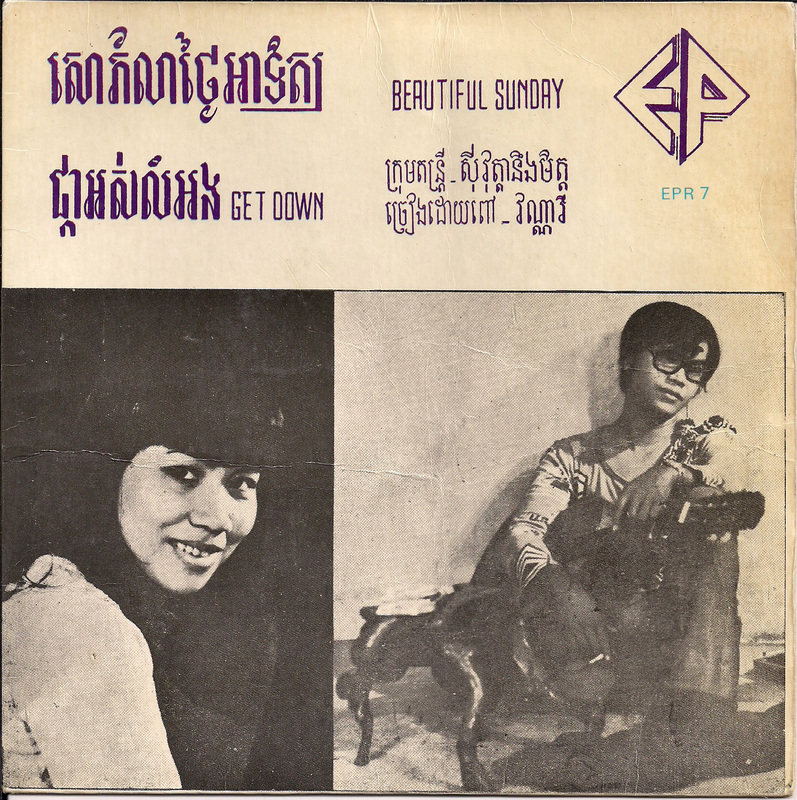 Poev Vannary: An aspiring young singer takes to the airwaves with her trademark folk guitar and rockets to superstardom with renditions of the songs of The Carpenters’ to John Lennon and American radio hits of the day only to disappear in 1975 in the Killing Fields of Cambodia. 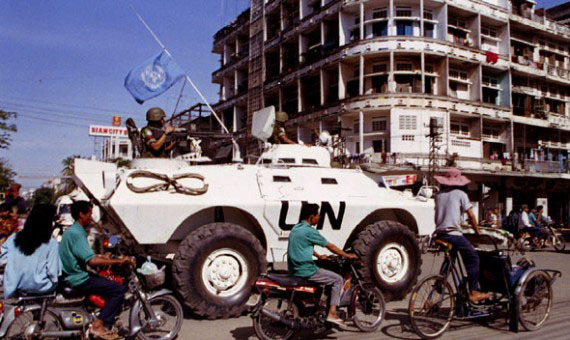 In 1993 Cambodia experiences a democratic and human rights revolution – a peaceful election. 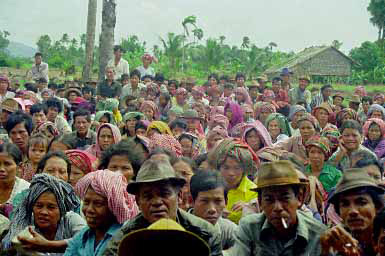 Despite killings, threats, and intimidation by the Khmer Rouge, 90 percent of voters participate in free and fair elections – the first in decades – providing the hope for long-term peace and democracy. Khmer Rouge, forces remain active and it’s shortly after the 93 elections, two of Poev Vannary’s former suitors meet by chance in Phnom Penh and arrange a reunion in in a local beer garden. It’s here that a lone singer performs a version of ‘Superstar’ – a Carpenters song made famous in Cambodia by Poev Vannary – triggering painful memories and unanswered questions. 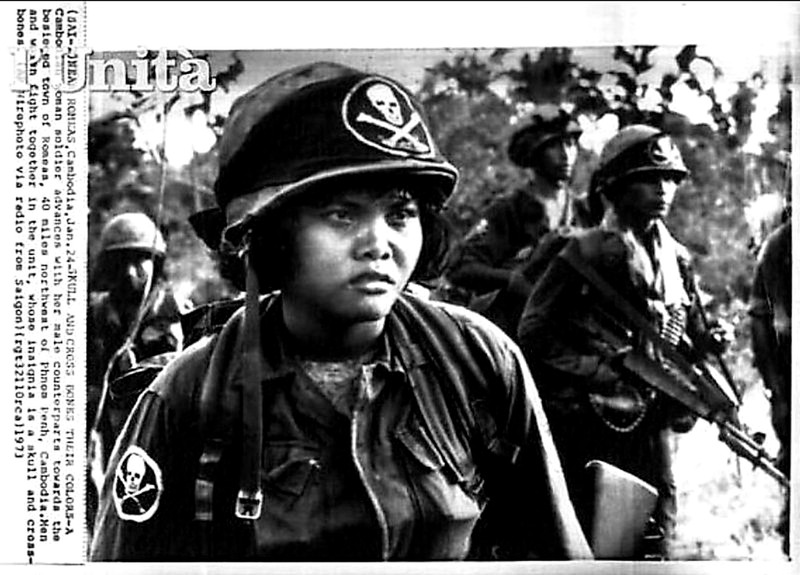 Vannary’s independent image epitomizes the freedoms and Women’s Lib movement of early 70s but her popularity also becomes a powerful propaganda tool and she soon caught up in difficult relationships, shady business deals, seismic social shifts and the ideological clashes of the Cold War playing out in Cambodia. As Phnom Penh becomes a city under siege, Vannary finds herself performing regularly at The Tropicana Club – a seedy establishment serving as an escape for its varied clientele, where a string of would-be-suitors pull her in different directions. The club serves as a metaphor for ominous political developments as communist forces consolidate their stranglehold on Phnom Penh. The clubs owner – an army colonel plays the role of manager, benefactor and jealous boyfriend while Vannary becomes involved in an ménage at trois with Quinn a foreigner – a communications specialist with a foreign Embassy – and his driver Samnang aka Lucky who narrates the play from within. As Phnom Penh falls to the communist Khmer Rouge forces in April 1975 Vannary disappears along with many other musicians and artists of her generation who’ve all become targets of the regime. 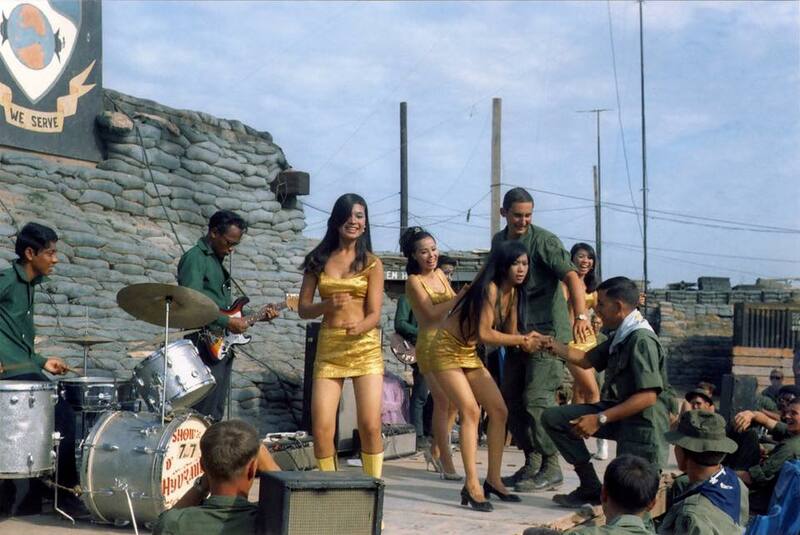 When the US evacuated Phnom Penh on the eve of the city’s fall to the Khmer Rouge, Cambodian rock’n’roll – a sound largely influenced by American GI radio was suddenly switched off, ripped from it’s socket with books burnt, records trashed and destroyed in a Khmer Rouge culturcide. 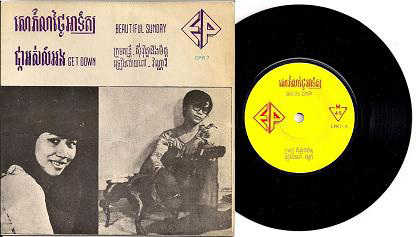 The stars of the era vanished, many such as Golden Era legends of Norodom Sihanouk’s swinging 60’s and radio stars such as Poev Vannary – the first Cambodian to sing and record in English – disappeared and have never been heard from again. In 2011, The Cambodian Space Project released it’s debut EP “I’m Unsatisfied” and realized at the time that this was the first vinyl record to be released by a Cambodian band since 1975. Since this time there’s been a global resurgence in vinyl – new releases, re-issues and generally an era of ‘crate diggers’ seeking out (and upping the value) of rare and lost music all around the far flung corners of the globe, not least Cambodia. Over the last few years we’ve release a couple of vinyl records (new music) and have become well aware of many others – individuals, record labels, filmmakers – remastering and re-releasing Cambodian rock’n’roll on vinyl. This indeed is an exciting time for vinyl lovers and indeed those who love the sounds of Cambodia’s analog era. Artists like Poeve Vannary can be found on compilations and releases from labels such as Lion Productions Cambodia Rock Spectacular and other titles included Don’t Think I’ve Forgotten songs released as a soundtrack on Dust to Digital. In working towards creating our own retro/modern soundtrack for Yesterday, Once More aka Msel Minh Mdong Tiet – The Cambodian Space Project has recorded its latest album “Spaced-Out in Wonderland” as an LP featuring covers songs that may well have been covered and certainly influenced the artists of pre-Khmer Rouge Cambodia – this new LP is a body of work recorded over the past two years at 60 Road Studios, Siem Reap and will be pressed on high quality 180gsm vinyl LP as a collection of songs we intend to feature in the CSP’s Yesterday Once More musical. Later this year the band will work on another body of instrument score music as ‘The Space Projectors’ for a second vinyl release and will make both these records available as part of a crowdfunding campaign to raise the budget we require for development and production. Stay tuned! and you could nab an autographed limited edition LP just crying out for inclusion in your own ‘essential new vinyl’ collection. Meanwhile, check out this fabulous fusion of American and Cambodian music – the music that we’re celebrating in YOM in this Creedence vs. Ros Sereysothea comparison.